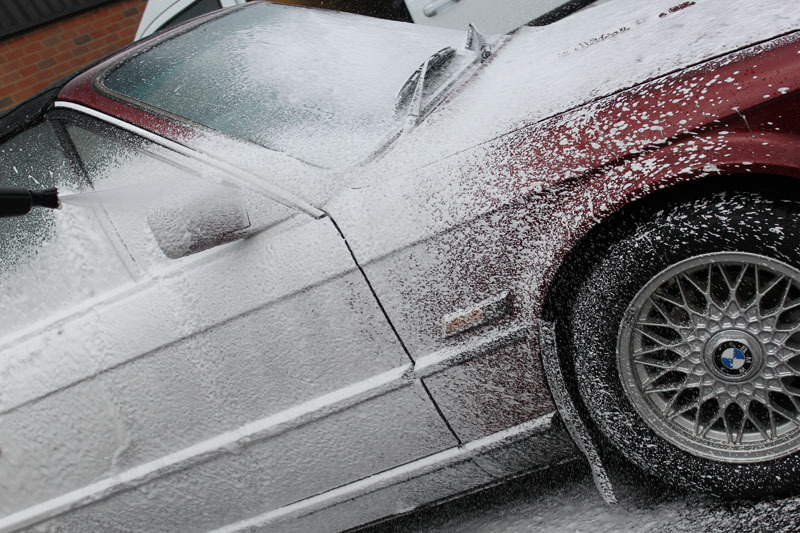 The BMW E30 325i is a modern classic with a significantly sized dedicated fan base. Whether it’s the rounded headlamps, the BBS wheels, the body styling or the rear wheel drive handling that catches your attention, year on year the demand for the E30 325i grows and several cabriolets have made it to the Ultimate Detailing Studio for a variety of detailing work over the last few months. 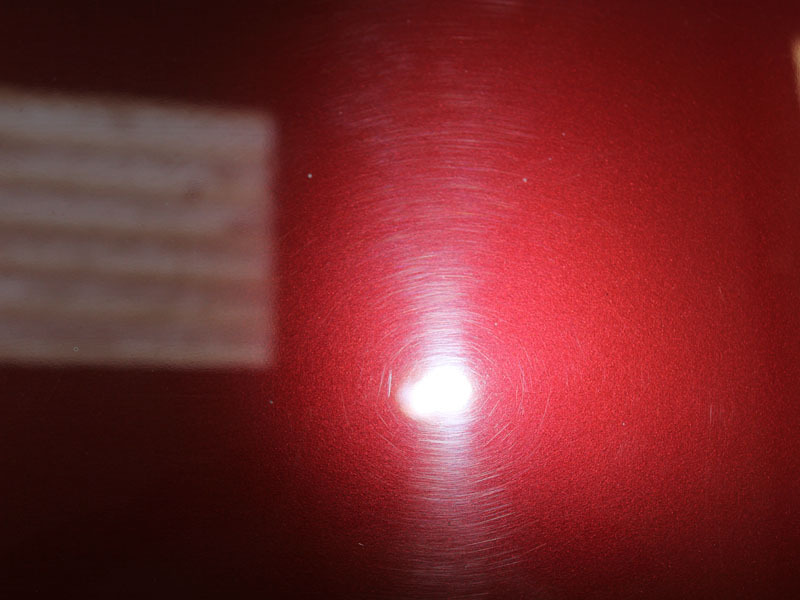 This Calypso Red Metallic E30 arrived at the Ultimate Detailing Studio for a Gloss Enhancement ‘Plus’ including paintwork repair, wheel refurbishment, leather cleaning and much more. 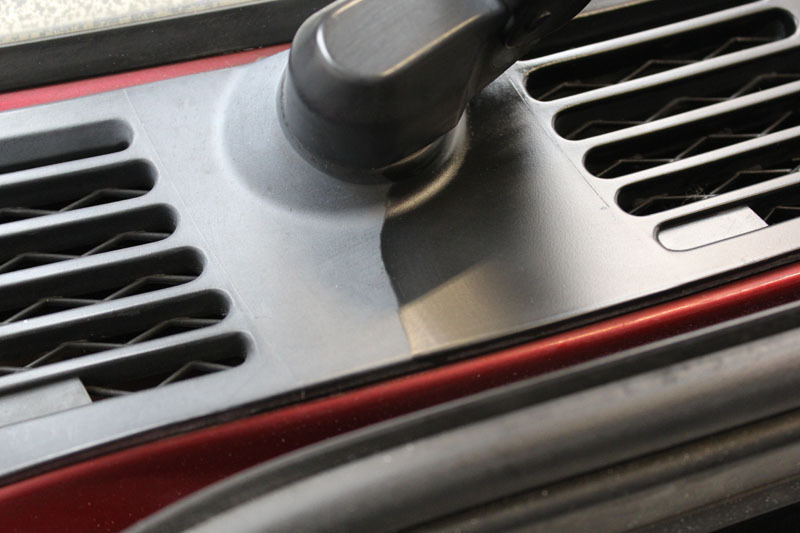 To start with the engine bay, as well as the wheel arches, sills, bonnet, boot and door shuts were sprayed with Bilt-Hamber Surfex HD, a non-caustic degreaser. After allowing to dwell for around five minutes the tougher areas of grime build-up were agitated using a Valet Pro Large Sash Brush. The Surfex HD was then rinsed off. 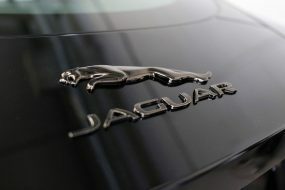 The fabric roof was cleaned using Meguiar’s Cabriolet & Convertible Cleaner to remove the build-up of environmental fallout. Then the bodywork and wheels were treated with Bilt-Hamber Korrosol to remove inorganic contamination such as iron fallout. Korrosol has a colour-change function which shows the product is working and once it had taken effect the Korrosol was rinsed off. 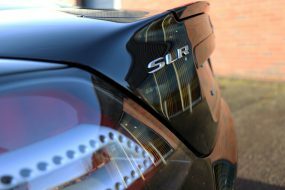 The car was then pre-cleaned using Ultimate Snow Foam, a high foaming, non-contact pre-wash cleaner that lifts larger particles of dirt and grit away from the surface of the bodywork, allowing it to be freely rinsed away. 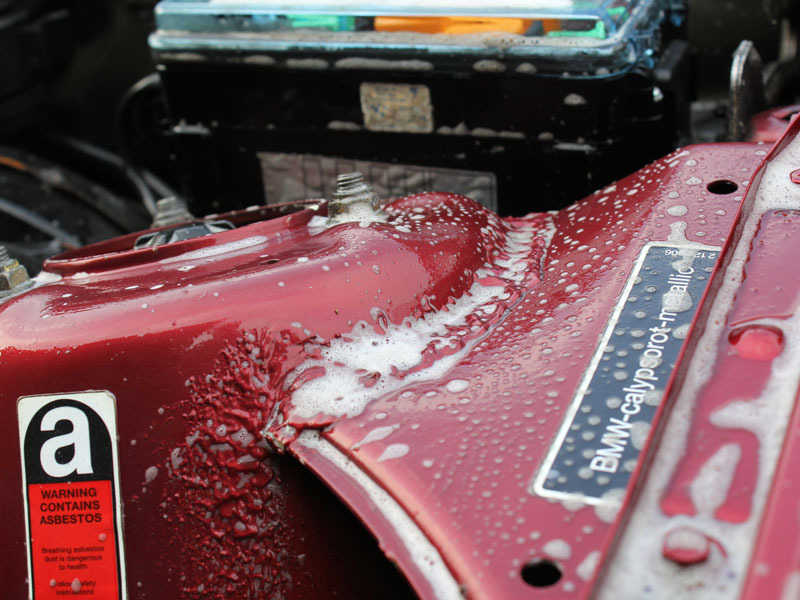 The E30 was then given a proper wash using the Two Bucket Method, a Microfibre Madness Incredimitt and Bilt-Hamber Auto-Wash Shampoo. 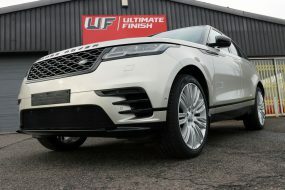 Once the car was rinsed clean, Ultimate Snow Foam was then re-applied and used as the lubricant whilst using the Dodo Juice Square Sponge Clay Pad to remove any bonded organic contaminants such as tree sap. 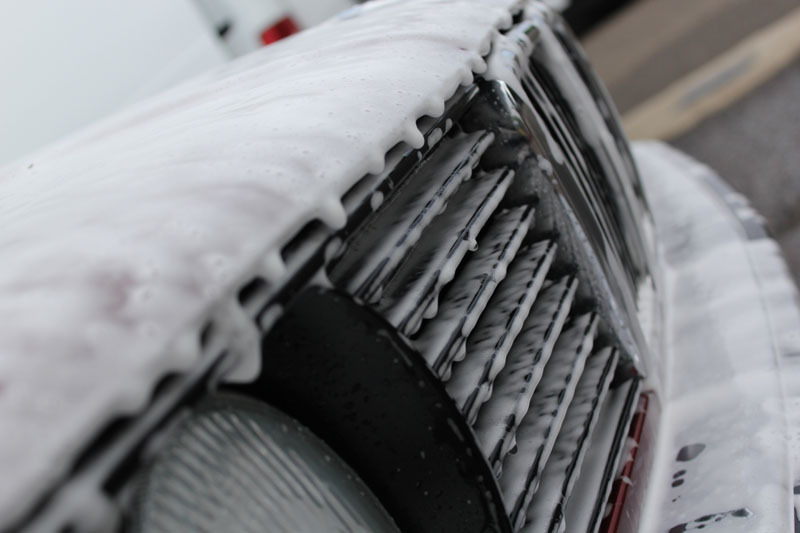 Once the decontamination was completed the car was rinsed, washed again, then given a final rinse using an Aqua Gleam De-ionising Water Filter – this connects directly to the hose and neutralises impurities in the water which cause water spot marks. Then the E30 was dried using Microfibre Madness Dry Me Crazy Drying Towels and brought into the Detailing Studio for appraisal. 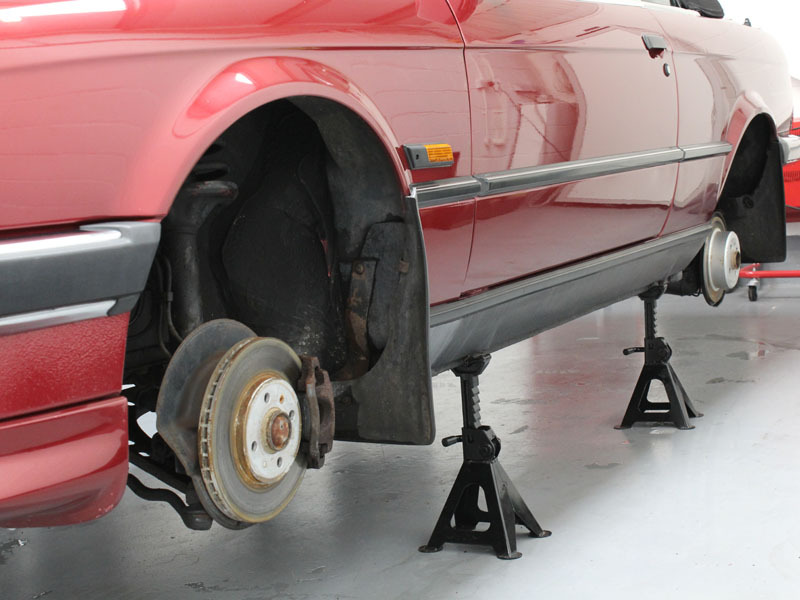 As the wheels were in need of refurbishment the E30 was raised on to axle stands and the wheels removed (more on this in Part Two). 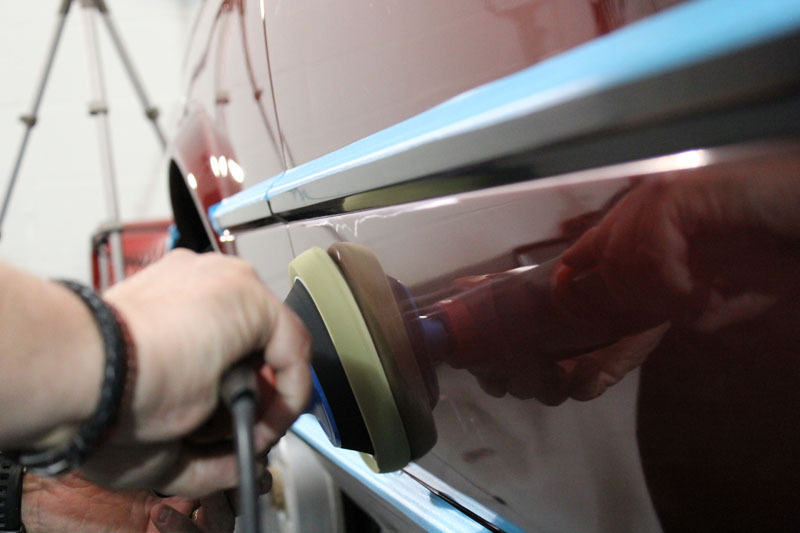 The black trim, badges and other details were masked with detailing tape to prevent accidental contact during the machine polishing stage – many polishes will leech colour out of black trim. 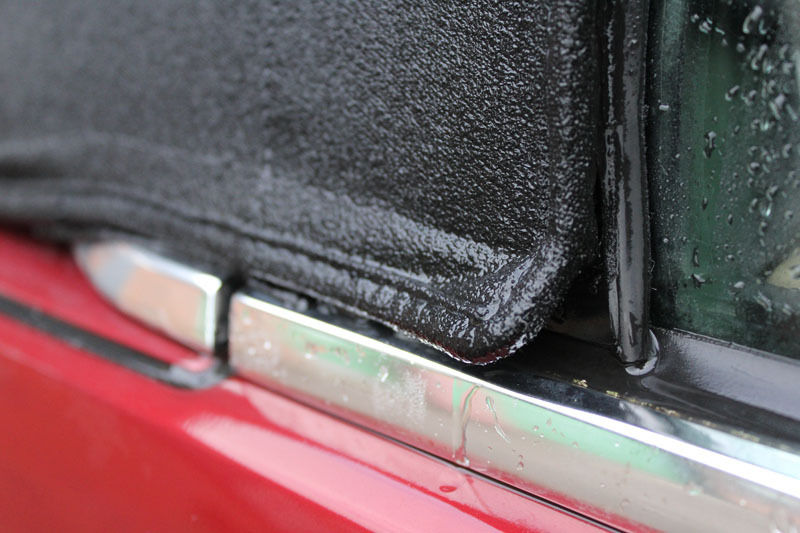 With the ‘wet’ part of the detail completed this was also the perfect time to allow the fabric roof to dry thoroughly. 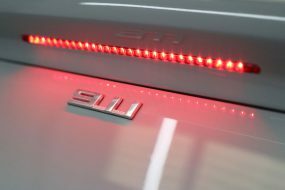 Now the car was completely decontaminated, clean and dry it was possible to inspect the bodywork under high intensity lighting to get a true determination of the condition. In addition to several stone chips, numerous random deep scratches, moderate scratches and a myriad of swirls were detected. To address the stone chips, the innovative ChipEx Paint Chip Repair System was applied. ChipEx uniquely use the marque specific paint code for each vehicle in order to ensure a perfect colour match, in this case BMW Calypso Red Metallic (code 252/3). To correct the scratches and swirls a SCHOLL Concepts Orange Sandwich Waffle Pad and S3 Gold High Performance Compound were selected. Using a FLEX PE14-2-150 the E30’s paintwork was gradually restored. Then a SCHOLL Concept Black SOFTouch Waffle Finishing Pad with a SCHOLL Concepts S40 Anti-Swirl Compound was used to refine it. 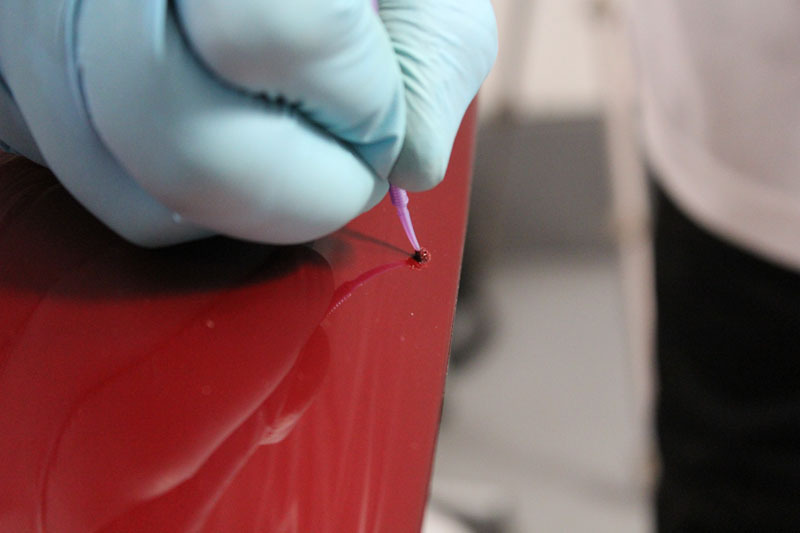 POLISHANGEL Carnaubaflockencreme Passion was applied by hand to protect the paintwork from UV fade, to further deepen the gloss and to augment the deep metallic burgundy paintwork. POLISHANGEL Passion is an innovative Carnauba Wax Creme that contains fine red flakes of Carnauba and is very effective on all shades of red paint. 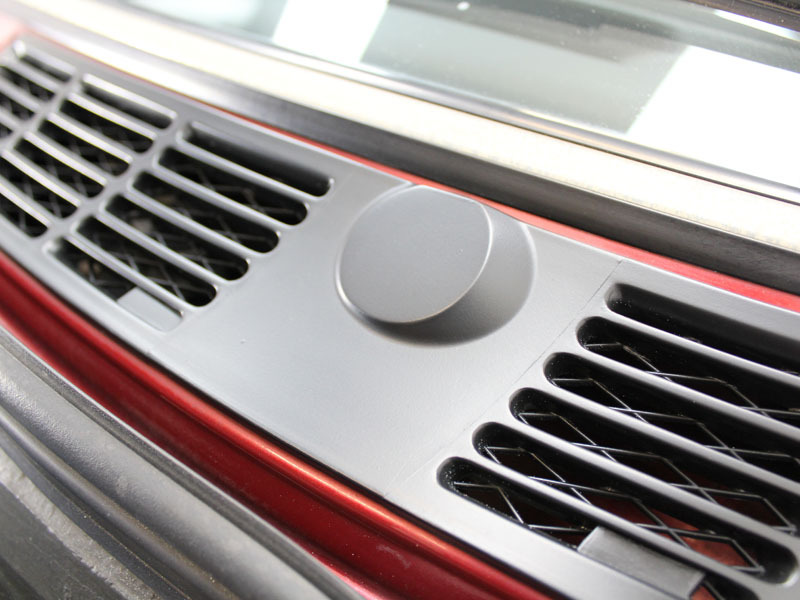 With the machine polishing phase complete the masking tape was removed from the trim. 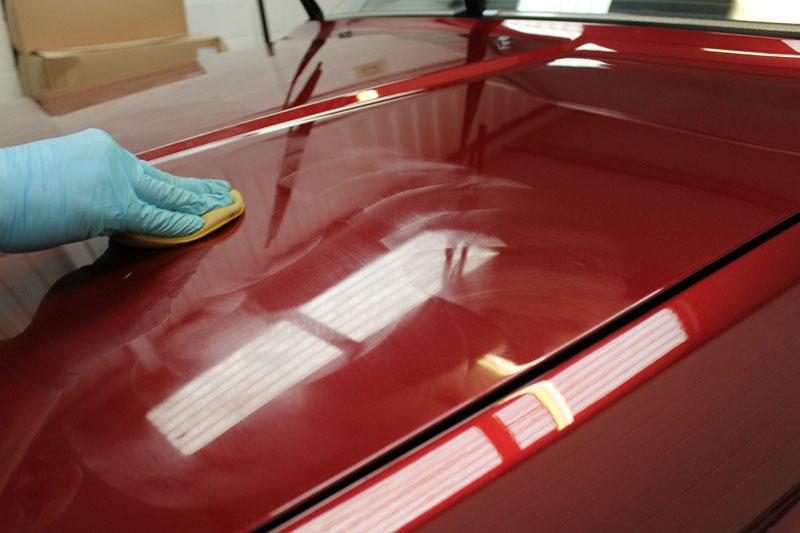 Using Gtechniq Panel Wipe the trim was cleansed, ensuring any remnants of old dressings, silicones and fallout residue were completely removed before Gtechniq C4 Permanent Trim Restorer was applied. 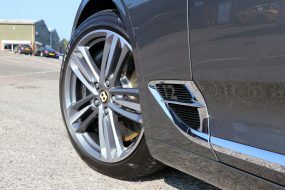 The exterior metal was polished using Gtechniq M1 All Metal Polish and the rubber bumpers and mud guards were all treated using Swissvax Seal Feed. 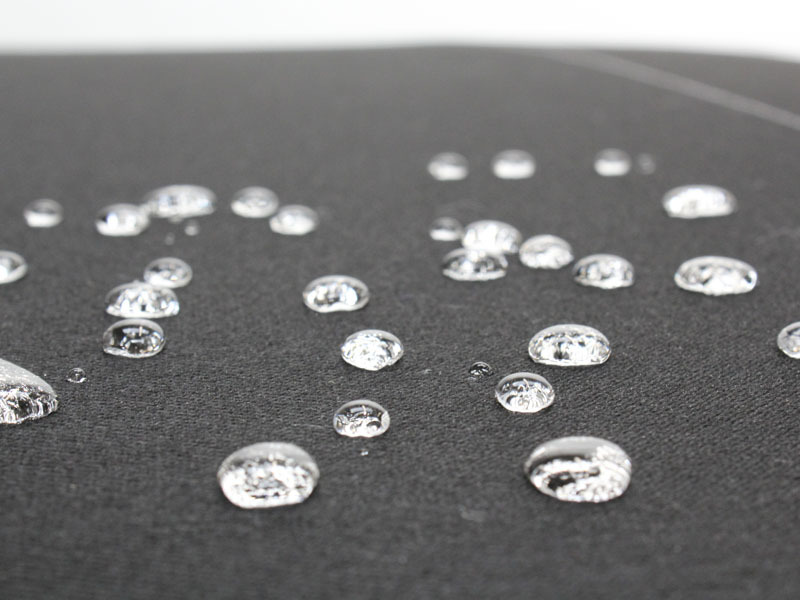 As the fabric roof was now completely dry, it was sealed and protected using Gtechniq I1 Smart Fabric Coat, to restore the hydrophobic (water resistant) properties and to resist future UV fade. In Part Two next week, attention turns to the interior and the wheels.